A treasure trove of beautiful metallic shamrocks for your St. Patrick’s Day designs. 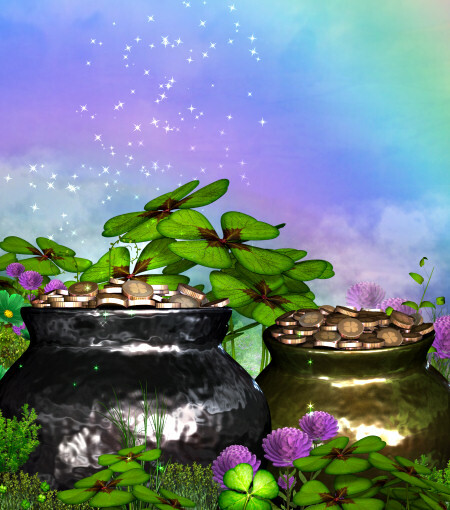 Leprechaun Pots of Gold, new versions of my leprechaun pots and some new St. Patrick’s Day scenic backgrounds. Welcome in St. Patrick’s Day with a rainbow and a pot of gold! More fairies and more Irish luck just in time for St. Patrick’s Day! Welcome in the green with these festive fairies. 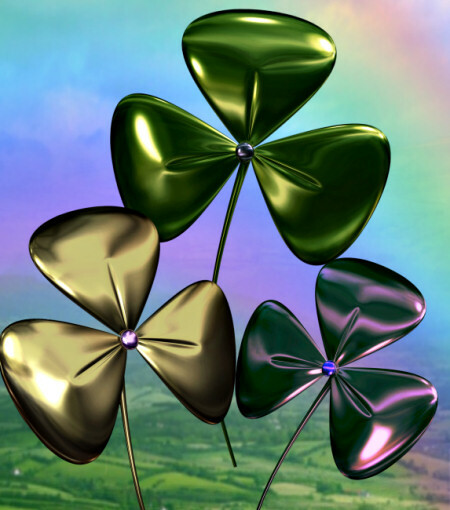 Enjoy some Irish luck this spring with the help of these Zany St. Pat’s Faes! Cheerful leprechaun graphics with lots of Irish luck and charm. 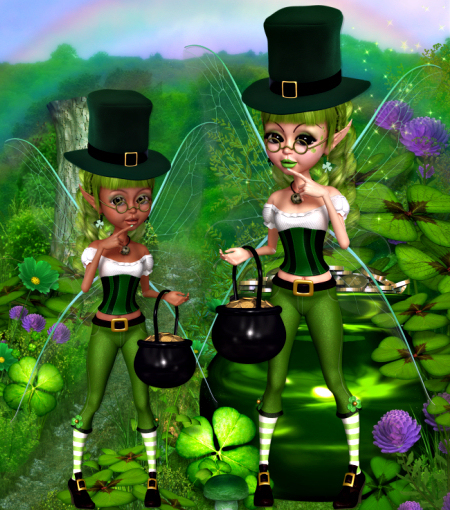 Little Irish Fairy Graphics to bring you lots of Irish luck this St. Patrick’s Day! 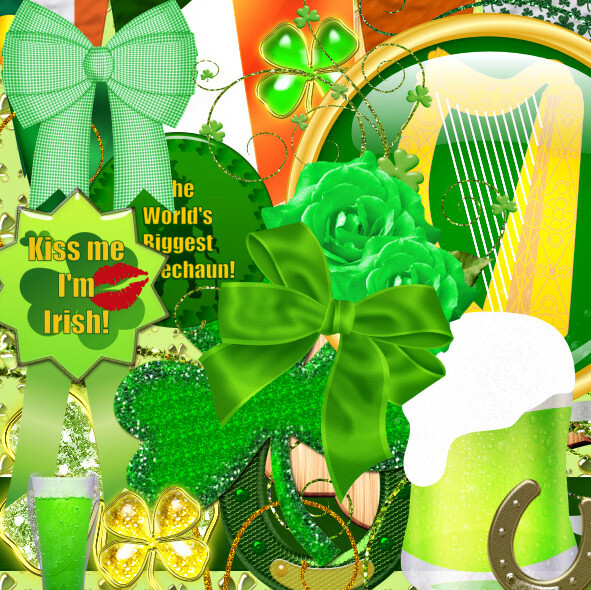 Festive Irish Background Graphics for your St. Pat’s designs. The perfect place for a leprechaun or fairy. 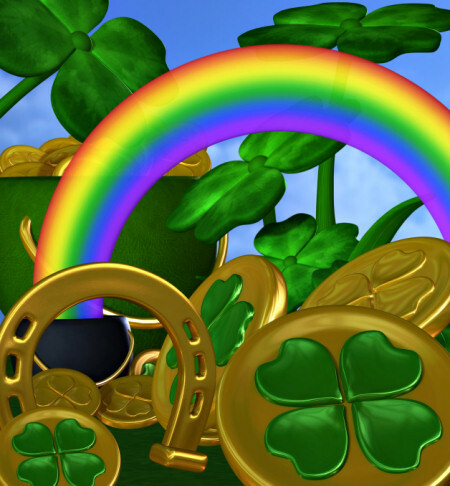 Leprechaun’s Treasure Graphics with sparkling pots of gold, shamrocks, horseshoes, rainbows, and more. Make a St. Pat’s scene! 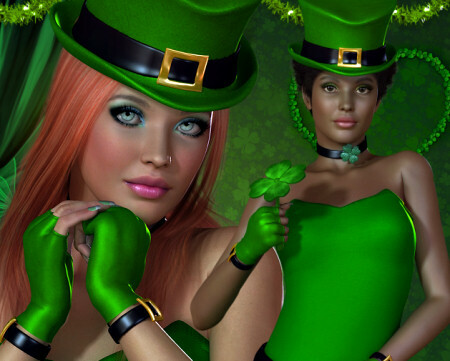 Lucky Irish Ladies Graphics, stunning lady leprechauns to make your St. Pat’s designs stand out. 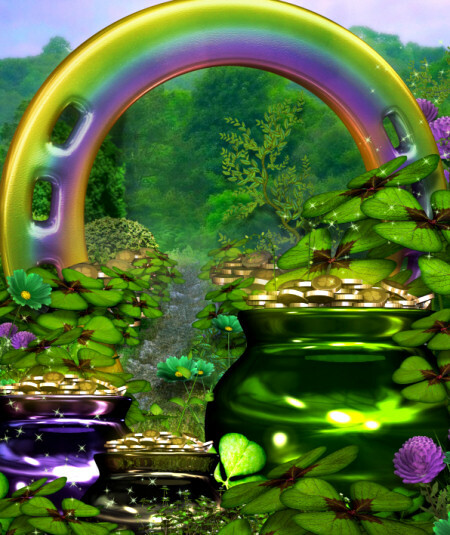 A Leprechaun’s treasure trove of St. Patrick’s Day graphics, including shamrocks, bows, seamless tiles, embellishments, gold coins, and much more.